The Ferris wheel is the most iconic ride of a fun fair. It is a traditional fair ride that symbolizes the atmosphere of the fair. Adding a small Ferris wheel for kids to your attractions is a great way of getting more attention from families. Children find it very difficult to resist the sight of a Ferris wheel; and seeing one that is the perfect size for kids is bound to be irresistible. 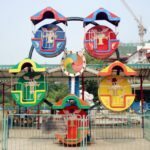 For parents, the idea of having their children ride a miniature Ferris wheel is a wonderful way to allow their children to go on a ride without needing to accompany them. 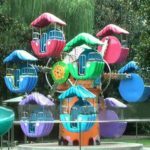 There are a large number of different styles and themes of kids’ Ferris wheels, and the one you decide to choose will depend on your current set up, and the types of rides you already have. 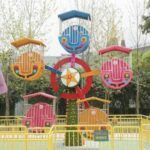 You could choose a Ferris wheel that matches your existing attractions, or you could choose a theme that stands out on its own as an eye-catching attraction. Either way, it is worth taking your time to make sure that you have ended up making the right choice for your business. 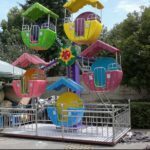 When it comes to purchasing your small kids’ Ferris wheel it is very important to make sure that the suppliers you are considering doing business with are all reliable and reputable. 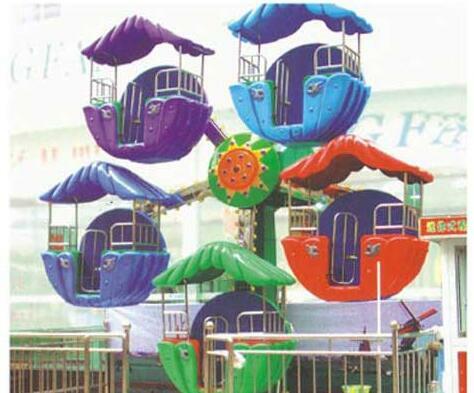 You will need to carry out a little research to make sure that the supplier can be counted on to provide a safe, reliable, quality Ferris wheel that will last well. While checking out the supplier’s website will give you a certain amount of information, it will not tell you everything you need to know about whether or not it is wise to purchase from this particular source. 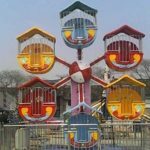 Carrying out a search on social media and forums for posts from other customers who have bought miniature Ferris wheels from that particular supplier will give you a clearer and more balanced idea of what you would be able to expect if you were to purchase your ride from them. Taking into account there will be some circumstances when the customer was not necessarily right, or when the problem was beyond the control of the supplier, you will still be able to tell whether or not you need to be wary of a particular supplier if there are more than one or two complaints about the same problem. 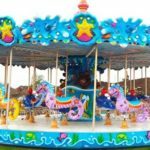 Taking this extra time to make sure that you are choosing to purchase your small Ferris wheel for kids from a reliable and reputable source with an excellent track record can save you a lot of time, money and inconvenience in the long run. 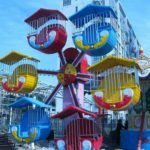 A miniature Ferris wheel is a fun and effective way to get more attention from families and to increase the number of customers you have coming to your business; it will attract the attention of every small child who sees it. This will be particularly effective if you make sure you position it so that it is seen by as many as possible.